Good morning and happy Monday, everyone! I’m so excited to welcome authors Cordelia Jensen and Laurie Morrison back to Pop! Goes The Reader today as we share the exclusive cover reveal for the paperback edition of their novel, Every Shing Thing, which will be released on April 9th 2019. Back in July 2017, I was lucky enough to work with Cordelia and Laurie to share the cover reveal for the hardcover edition of Every Shing Thing, and while I still love the glitz and elegance of the original design, I absolutely adorable the new charming, colourful cover for the paperback edition, and I hope you will, too! Laurie Morrison taught middle school English for ten years before coauthoring her first middle grade novel, Every Shiny Thing, with Cordelia Jensen. 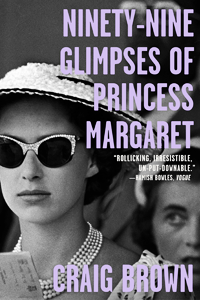 She is also the author of Up For Air (Abrams/Amulet Books, May 7, 2019), which received a starred review from Kirkus, and Saint Ivy, which is due out in spring 2021. 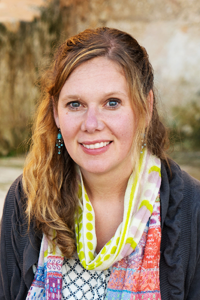 Laurie collaborates with other authors to run Middle Grade at Heart, an online book club and newsletter, and she holds an MFA in Writing for Children and Young Adults from Vermont College of Fine Arts. She lives with her family in Philadelphia and loves freshly baked pastries, the ocean, being outside, and (of course) books. 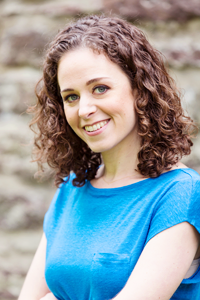 Cordelia Jensen is the author of two Young Adult verse novels Skyscraping (Penguin, 2015) and The Way The Light Bends (Penguin, 2018). She is also the co-author of the half verse/half prose Middle Grade book Every Shiny Thing (co-authored with Laurie Morrison, Abrams, 2018). Skyscraping was an American Library Association’s Best Fiction Book for Young Adults and a 2016 NCTE Children’s Notable Verse Novel. Cordelia lives in Philadelphia with her husband and children. She teaches creative writing and runs a kids’ literary journal for the Big Blue Marble Bookstore. 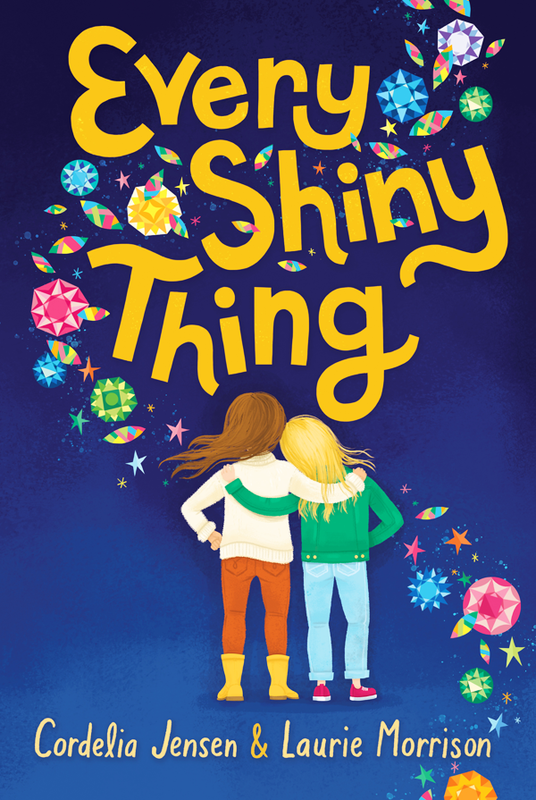 Every Shiny Thing is coming out in paperback on April 9, 2019, and we are so excited to share the paperback cover! We thought readers might be interested to hear why the Abrams team decided to go with a different cover for the paperback edition. 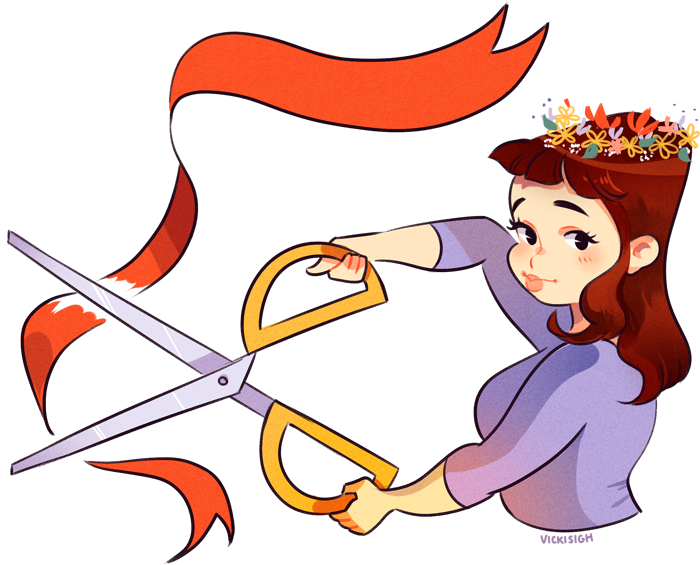 Here is Maggie Lehrman, Executive Editor at Amulet/Abrams, with her thoughts on our new, sparkly cover and the decision to repackage the book! Why do some books get new covers for their paperback editions? There are lots of reasons a book could get a new look in paperback. Paperbacks have a slightly different audience than hardcovers – since they’re less expensive, they can be more of an impulse buy at the bookstore, and sometimes kids can even buy them themselves. Even when we love the hardcover design, the paperback can be an opportunity to try out a different design to see if consumers respond to it. We do love that hardcover! But we are also really excited about this new look. What did the Abrams team hope to accomplish with this redesign? There are a couple of things that we’re trying to get across – most important that this is a story of two girls, and that it’s centered on friendship. The drawing of the two girls with their arms around each others’ shoulders does that, I hope. We also wanted it to feel warm and inviting. We hope that the colors and the overall design conveys that the book is a contemporary realistic story, and that it’s thoughtful and emotional. Friendship is such an important element of the story, and we are happy to see it now so central to the cover. What do you like most about the new cover? I love that we were able to incorporate the kaleidoscope images into the title – they’re such an important recurring image in the book, and they add so much beauty and color into the cover. I’m also really happy with the way the drawing of the girls turned out – it adds a personal, human element to the cover while still leaving their specific faces to the reader’s imagination. We love those things, too. The Abrams team did an amazing job with both versions. In this beautifully constructed middle-grade novel, told half in prose and half in verse, Lauren prides herself on being a good sister, and Sierra is used to taking care of her mom. When Lauren’s parents send her brother to a therapeutic boarding school for teens on the autism spectrum and Sierra moves to a foster home in Lauren’s wealthy neighborhood, both girls are lost until they find a deep bond with each other. But when Lauren recruits Sierra to help with a Robin Hood scheme to raise money for autistic kids who don’t have her family’s resources, Sierra has a lot to lose if the plan goes wrong. Lauren must learn that having good intentions isn’t all that matters when you battle injustice, and Sierra needs to realize that sometimes the person you need to take care of is yourself. I absolutely love this cover! It is amazing and so adorable. Thanks for posting this reveal! Love this new cover (though I also loved the old one). So glad to hear from Maggie on the reasons behind the new cover.